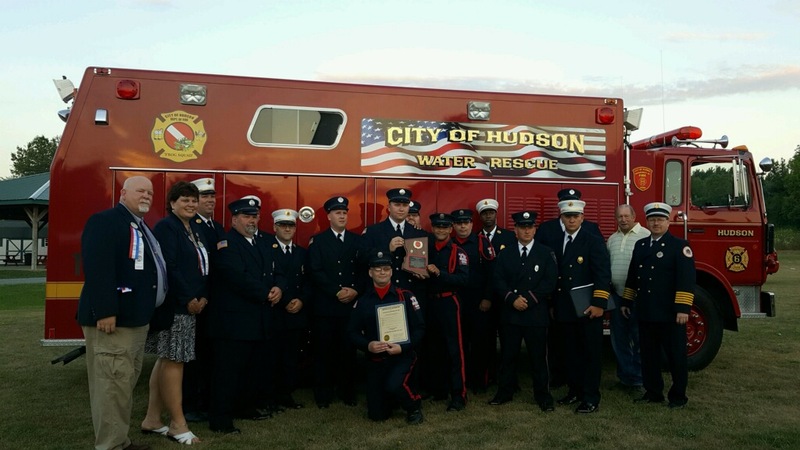 On Friday July 29th, the City of Hudson Fire Department Dive Team was honored by the Columbia County Volunteer Firefighters Association during their annual meeting. The Dive Team was presented with the "Firefighter of the Year" award for their actions at a drowning that occurred on August 6th, 2016 at Oakdale Lake. On Thursday August 6th, 2015 at 7:28pm Columbia County 911 dispatched the Hudson Fire Department for a male subject who had gone underwater and not resurfaced at Oakdale Lake in the city. At 7:41pm FF/Rescue Divers Mark Graziano, Justin Elliott, and Assistant Chief/Rescue Diver DeMarco entered the water in full SCUBA equipment and began a coordinated underwater search. At 7:54pm FF/Diver Mark Graziano surfaced with the victim and immediately swam to shore with him. The victim was successfully revived at Columbia Memorial and was later transferred to Albany Medical Center for further treatment. 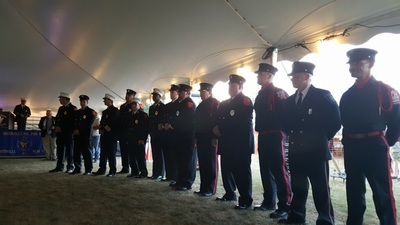 On hand to receive the award was the entire Dive Team escorted by a Color Guard comprised of current and past Chiefs of the Hudson Fire Department. 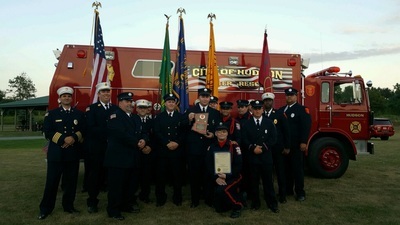 Also presented to the Dive Team was a resolution from the Columbia County Board of Supervisors commending the team on their actions. 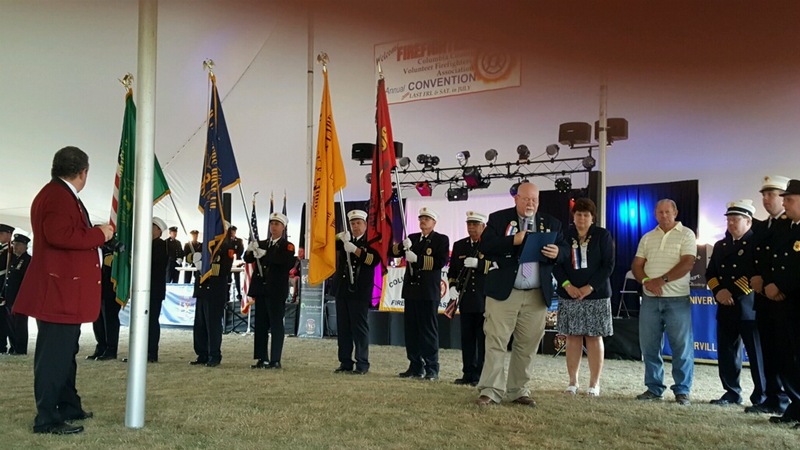 The annual convention was held this at the Kinderhook Town Park and was hosted by the Niverville Fire Department. The convention concluded Saturday with a parade and entertainment at the Town Park.